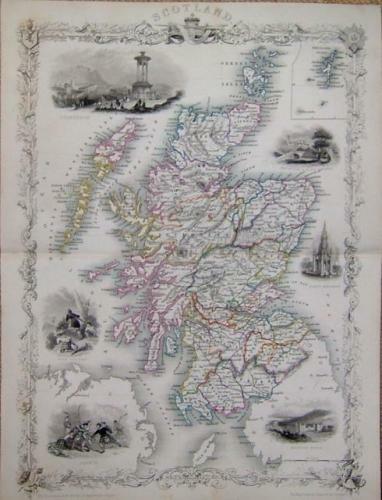 Title: "SCOTLAND" Drawn and engraved by J. Rapkin. Published by John Tallis & Company. London: 1851. The map is in excellent condition with full margins (new picture to be added soon showing full margins).